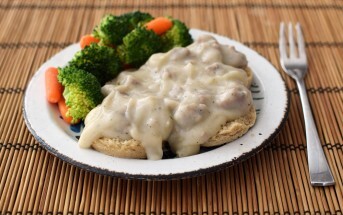 You are at:Home»Helpful Information for the Dairy-Free Diet»New to the Dairy-Free Diet? Start Here! New to the Dairy-Free Diet? Start Here! Sit down, take several deep breaths, and relax. It might seem scary at first, but trust me, you will leap over much bigger hurdles in life than cutting out milk products. I’m not going to lie, for many people it can be difficult in the beginning. But with time, living dairy-free gets much, much, MUCH easier. You can ask anyone who’s been strictly dairy-free for over a year, and they will probably tell you that it’s become second nature. Most will even agree that they eat a wider variety of foods now than they did when they ate dairy. No joke. Read my brief article on the Six Simple Steps to Successfully Going Dairy-Free for Good. It is a summarized “how to” that puts changing your diet into perspective. This is how I’ve successfully implemented dietary changes over the years for myself and my family, and I think you will find these steps useful in your own transition. I’ve done all of the panicking, question asking, and information gathering for you, and compiled it into one big resource, Go Dairy Free: The Guide and Cookbook 2nd Edition. The book covers everything from “what is dairy?” to dairy substitutes, grocery shopping, nutrition issues, eating out, recipes (over 200 of them!) and beyond. I mean it. I packed in as much information as I could to help as many people as possible. I am here to support via email, and do my best to respond to every question (see the Ask Alisa Section for dozens of FAQ’s that I’ve posted here on the site), but PLEASE, do not email me with questions unless you have read Go Dairy Free. Due to the time involved, I can no longer specifically answer questions that are covered in my book. Believe it or not, at least 90% of the questions I receive are answered in this book – seriously, it has that much in it. For those who have Go Dairy Free the book, I’m happy to answer additional questions and help whenever possible. Yes, this book even comes with customer support. How cool is that? Go Dairy Free is available in paperback via Amazon and all other major booksellers. It’s also available as an ebook for every reader. 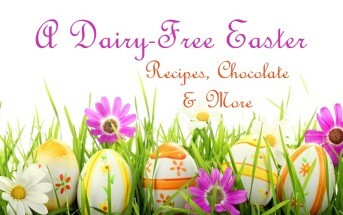 For more information, head to my Go Dairy Free Info Page. I didn’t stop with the book. Go Dairy Free the website has well over 6000 pages of content and growing, and it is ALL FREE for your viewing pleasure. Some things don’t really fit into a book, like product reviews and dining reviews (since both may change frequently). The website has these. I add recipes, news, and helpful information nearly every, single, day. Yes, I’m a busy bee. Fortunately, I have lots of helpful recipe creators and great feedback from readers like you. Check it out and sign up for the daily email update of what’s new via the Email Subscription. You can also join in the conversation with thousands of other dairy-free people on the Go Dairy Free Facebook Page. I encourage interaction there! And I have a second cookbook for you! 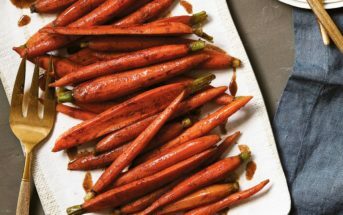 In 2018, I released Eat Dairy Free: Your Essential Cookbook for Everyday Meals, Snacks, and Sweets. It’s an all new, full-color cookbook with 110 original recipes for nutritious, family-friendly eats. Still Not Sure? Keep a Journal. Some of you might want to trial a milk-free diet, but are unsure on making the commitment. For you, I created the Dairy-Free Challenge and the Diet & Health Journal (a free pdf download). This is completely free, a gift from me to you, and a helpful way to track what you are eating and how it makes you feel. Thousands of people have successfully taken the Dairy-Free Challenge to assess if they have lactose intolerance, a milk allergy or sensitivity (consult a physician if a severe milk allergy is a possibility), or simply, if they feel better without dairy products. If your goal is to be dairy-free (vs dairy-low), then be strict. Dairy products, particularly cheeses, are very addictive. Having “just a little” will bring the cravings (and possibly the symptoms) back in full force, particularly in the beginning. Do your best to avoid cheating, and your transition will be much easier.